Hi! I’m Xiaotian. 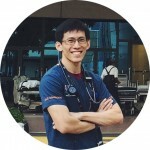 I am a doctor, Apple geek and web developer based in Singapore. I also love traveling and photography.